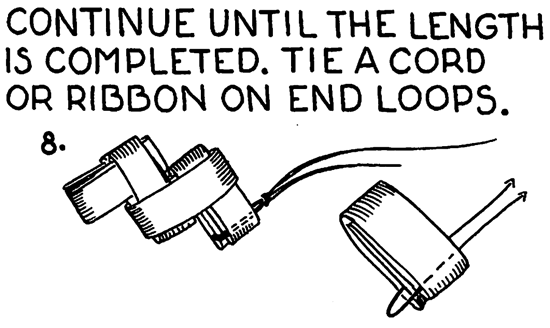 Check out our other Friendship Bracelet Instructions. 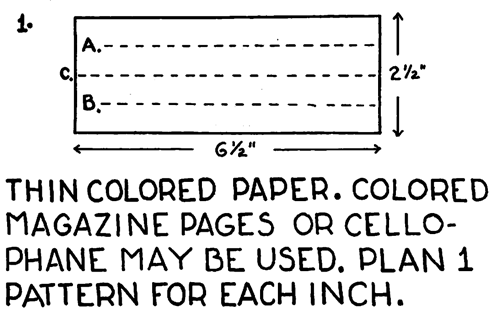 Thin colored paper, colored magazine pages or cellophane may be used. Plan 1 pattern for each inch. Fold on ‘A’ and ‘B’ toward ‘C’. Start with about 25 of these. Fold on center. 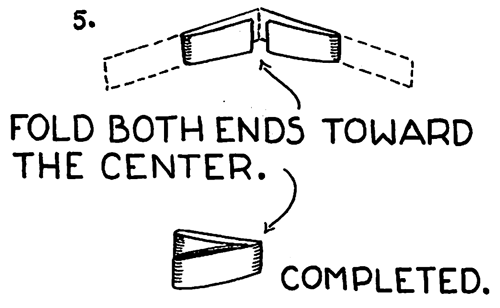 Fold both ends toward the center. Completed. 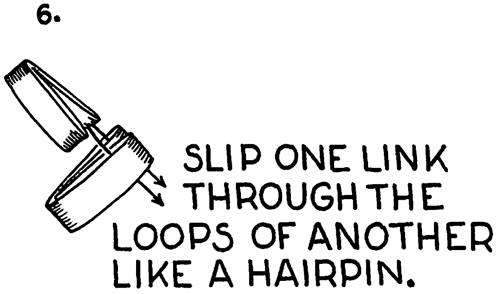 Slip one link through the loops of another like a hairpin. Continue until the length you desire is completed. Tie a cord or ribbon on end loops. And, there you go…. 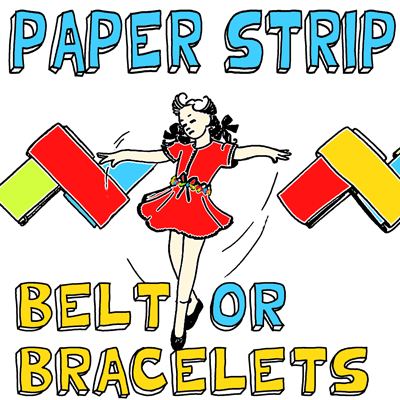 you just finished making your Paper Strip Belt or Bracelet. Wasn’t that fun? The question I have for you though is…. Did you make a belt or a bracelet? Let me know in the comments below. Wear it proudly.